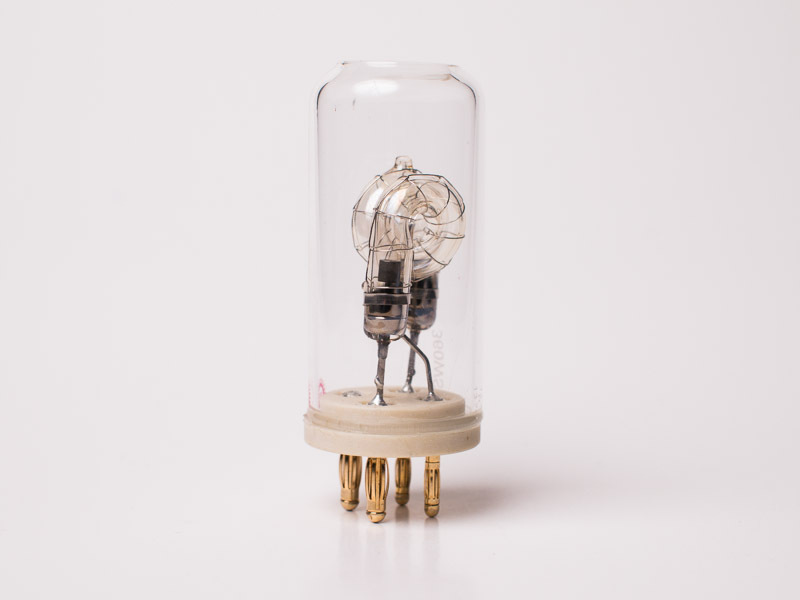 A bare-bulb flash with high power: an ideal companion for the photographer with big light modifiers? Let's find out. 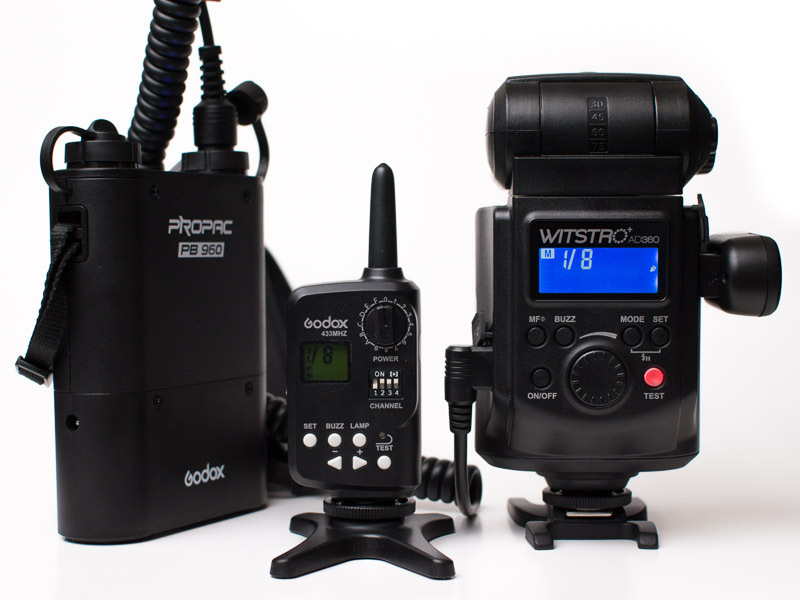 The Godox Witstro AD360 is the second, more powerful, version of the Godox AD180, which David Selby tested almost half a year ago. The same flash is being sold in the US under the CheetahStand brand, but both come from the same factory in China. This flash is not just a speedlight, it can match the power of studio lights while still being small enough to be easily transported. The bare flash tube and the high power indicates that this would be an ideal companion for the photographer with big light modifiers, but is it really so? Read on and find out. I received my flash directly from Godox, one of the biggest lighting manufactures in China. Godox might be relatively unknown in the western world, but it is certainly something to watch out for. David was told during his visit to the factory that Godox prefers to focus on quality products, and first would like to get a big market share in their own country before exporting. At 539 euro (found at Dutch sellers) it is not a cheap flash. Similar to high performance cars, you seem to pay more for less. No TTL seems like quite a bad deal for so much money. But as with supercars, when you buy it, it is not comfort you are after, but performance. And by quickly looking at the spec sheet, this flash really seems to have a lot of power. Let’s find out if this is really the case. After opening the package I was quite impressed. Everything is packaged very nicely in a styrofoam box, ensuring safety during transport. But it was not this that surprised me. After removing the flash unit from the box I had a feeling similar when I opening Nikon products. I was genuinely impressed. High build quality, nice finish and seems very durable. Nothing is flimsy or seems that it would break after some misuse. It feels like you could drop it onto the floor and damage the floor in the process, but not the flash. Similar to the AD180, the flash tube is inserted into four sockets that have enough friction to keep it locked into place. Align the red dots, and firmly press the flash tube into the socket. The reflector does lock into place by tightening a locking wheel. Instead of the reflector other optional light modifiers can be used to form the light in any way you would like. By using the same locking mechanism it is possible to mount the optional accessories, such as a softbox or beauty dish or maybe even a snoot. The flash has several possibilities of triggering it. You can use either the hot shoe, a 3.5 mm jack, a conventional PC jack and rather unconventional USB port. This USB port is used for plugging in the optional FT-16, but more on that later. Besides these possibilities it is also possible to trigger it with the optical slave, which can be set to ignore a pre-flash. If you look closely at the front of the flash one can see that there is also a little red window that we can see often in other flashes. For most flashes, the presence of the red windows means nothing, but in this flash there is a sort of functioning autofocus assist light, but it has to be manually operated. A button on the flash turns it off and on, so it is really a last resort method, not something to rely on. The buttons have the same durable feel to it as the rest of the flash. In total there are six buttons and one wheel to control the functionality of the flash. The current settings are displayed on a blue backlit LCD screen which is easy to read. More on that in the next section. I briefly mentioned a tripod baseplate, but what is this exactly? Due to the high weight of the flash some photographers might would prefer to mount it using a ¼” screw mount. With the supplied plate you can exchange the hot shoe for a screw mount, but you would lose the triggering possibilities in the process. Maybe call me stubborn, but I think devices should be usable without reading the manual, especially with something that should be simple such as a manual flash. 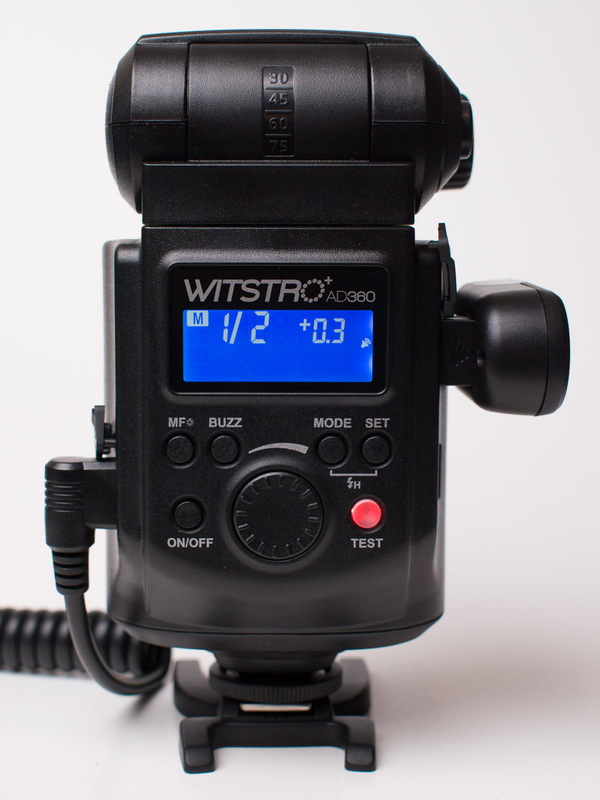 The Godox Witstro AD360 passes this test easily. It should be noted that the manual is a good one, unlike the “Engrish” manuals from other Chinese manufacturers that are translated with Google Translate. For every button it is obvious what it does, and the current settings are clear to read on the LCD. The screen is readable in every lighting condition, due to the backlight of the LCD screen (which is always on) and the hard contrast on the LCD screen. The menu has four mode settings, M, S1, S2 and RPT. M stands for manual, the regular mode while two other modes enable the flash to be triggered by another flash (with different timings). The fourth one actives the stroboscopic mode, to fire a series of flashes. Pressing the MODE and SET button at the same time turns the flash into the high speed sync mode, but due to longer flash duration at higher powers this can only be done at 1/8 or higher. Note that to be able to use HSS you need a compatible HSS trigger. As mentioned earlier, included in the kit was a battery pack. The Li-ion power battery pack can power the AD360 about 450 times on full power, with a recycle time of 4.5 seconds. If this is not fast enough there is a 2 to 1 plug where you can both the ports of the battery pack to power a single flash, thus reducing your recycle times to a half. 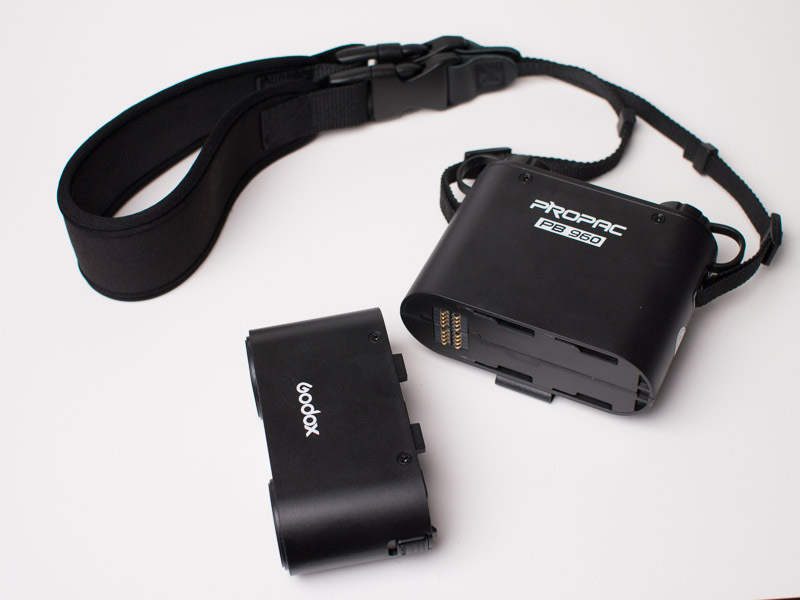 The battery pack comes with a wall charger which can fully charge the removable battery in 3 hours. If you have a spare battery, you can just swap the battery without disconnecting the cables that are connected to the flash and keep on shooting. In general, as with the flash, the battery pack is built very well and well thought of. There is a LED on either side to indicate if a flash is connected to that HV-port, and in the middle there are four LEDs to indicate the level of charge. The Li-ion battery seems to have a very high capacity, I have yet to see it drop down below 3 LEDs after a shoot, even when it arrived the charge indicator showed me that the battery was full. On the battery pack there are two loops to mount a shoulder strap, or you can carry it on your belt using the rather sturdy belt buckle. Summarized, the battery pack matches the quality of the flash, which both seem to be very good. I was kindly provided with a FT-16 trigger and receiver. The receiver directly plugs into the USB port and can change the settings of the flash. On the rather tall trigger almost an almost identical set of buttons can be found as on the flash, except for the high speed sync. 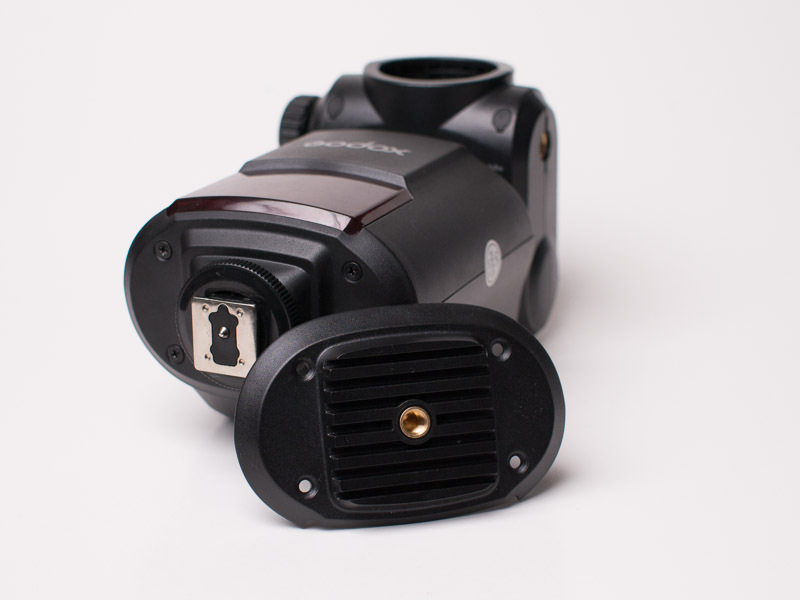 While you can remotely adjust the power of the flash, no HSS is possible with this trigger. It surprised me that the FT-16 is 433 MHz, while all other triggers are currently 2.4 GHz. Don’t get me wrong, I have yet to have a misfire from these triggers, but I do not understand why they did not chose the 2.4 GHz band over the 433 MHz one. However, they did choose the right battery type. No difficult to obtain batteries are used, just 2 AA ones. The receiver is powered by the USB port, and does not require any batteries. 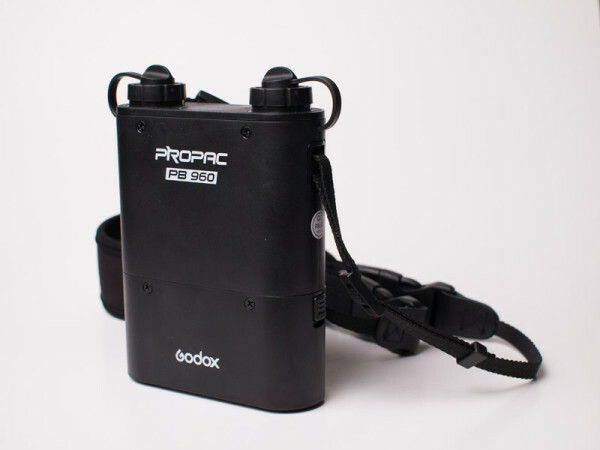 There are two things how the AD360 differs from conventional speedlight. The power and the way how the light is distributed. With the AD360 the spread is more evenly, due to the barebulb. From my tests, the light output with the standard reflector (no diffusor) is about 2 to 3 stops more than a SB-800, set at the widest angle and measured at the brightest point. However, it is quite hard to compare the spread, intensity and quality of light between a regular speedlight and a barebulb. Each of them has its own purpose. 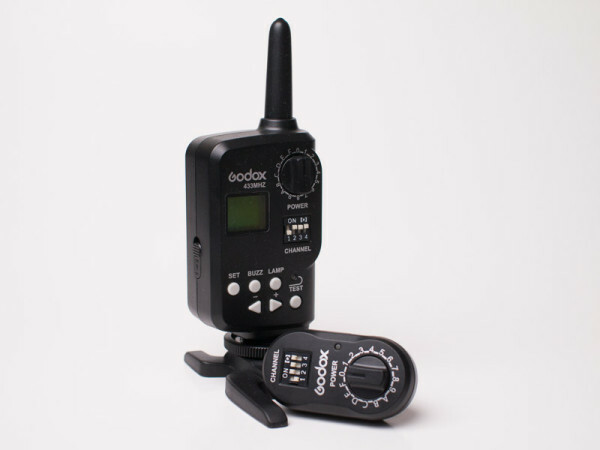 It is in a softbox or behind a different light modifier where the Godox really feels at home. You have to understand that a speedlight just throws a bunch of light forwards, against the diffusor. The spread of this light is quite limited, and if you want to enlarge the spread with a stofen style diffusor you lose a lot of power, but without the diffusor it might not even cover the whole softbox. 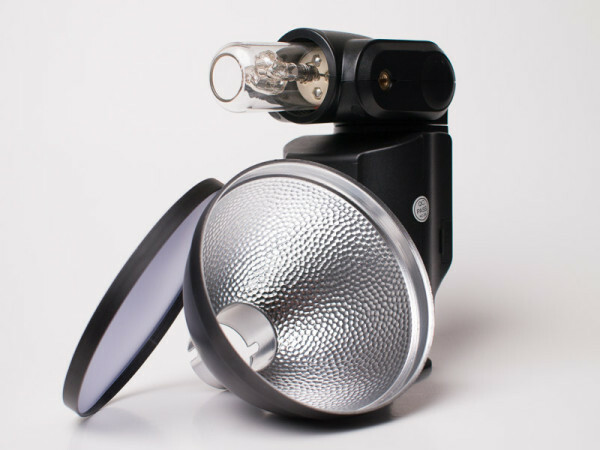 The barebulb of the Godox throws light in every crack of the softbox filling it completely with light. In the softbox, the light hits the diffusor from every angle possible, resulting in a much softer light. So it is not just the power where the Godox shines, but it also the distribution. Speaking of power, there is more than enough. I was able to close up the aperture up to f/16 ISO 100 while shooting with a 1.2 meter octabox (positioned about 2 meters away) and I wasn’t using 1/1 power. To give you an idea, I would never even have dreamed of doing something like this with a speedlight. With a regular speedlight you would need full power in order to get aperture of f/4. Unfortunately I do not have the equipment to measure flash durations, but Godox claims full power has a flash duration of around 1/250th. I gain about 1/3 of a stop by going from 1/250th to 1/160th, which is roughly the same as my SB-800. If you are not shooting with a X100(s) which has crazy flash synchronization times, you have nothing to worry about. I can be quite short on this one as well, there are no crazy shifts in colour when changing power. Between full power and minimal power I do not notice any drastic change. The specs says a maximum variation of 200K, which is very reasonable. I am always a bit nervous when I take new gear out to a shoot. Will it work and will it last the entire shoot without any problems. I think most of you can relate to that, nobody wants to seem unprofessional. However, in this case, I shouldn’t have been nervous. Shooting with the AD360 is a pleasure. You are able to shoot this flash without any worries. If you ever shot at maximum power with a speedlight it is a bit tricky. They are not made to fire at full power the whole time, they can overheat and break. Also the recycle times are longer then you would like them. The AD360 does not have these problems. It has plenty of power and the flash tube is directly cooled with air, not encased as with speedlights. Being able to remotely control the power makes little adjustments a breeze. Sometimes I hestitate if I should change the power by 1/3 of a stop, since I will lose precious time by walking towards the flash. With this flash it is a thing of the past, you can change it as often as you like. Unfortunately I do not have triggers that are able to trick the camera into sending the required HSS pulses, so I was not able to test this. I briefly played with the Pixel Kings from another photographer in combination with the Godox, but at first it did not wanted to work. After some time it just suddenly wanted to work, could be the positioning of the trigger on the hot shoe that wasn’t properly aligned. From my short test the high speed sync mode seems to work rather well. I have yet to test it during a shoot, if desired I can write a follow up when I have properly tested it. I still owe you that one. If you are such a person that just skims the review and only reads the conclusion, you only need to read the next sentence. 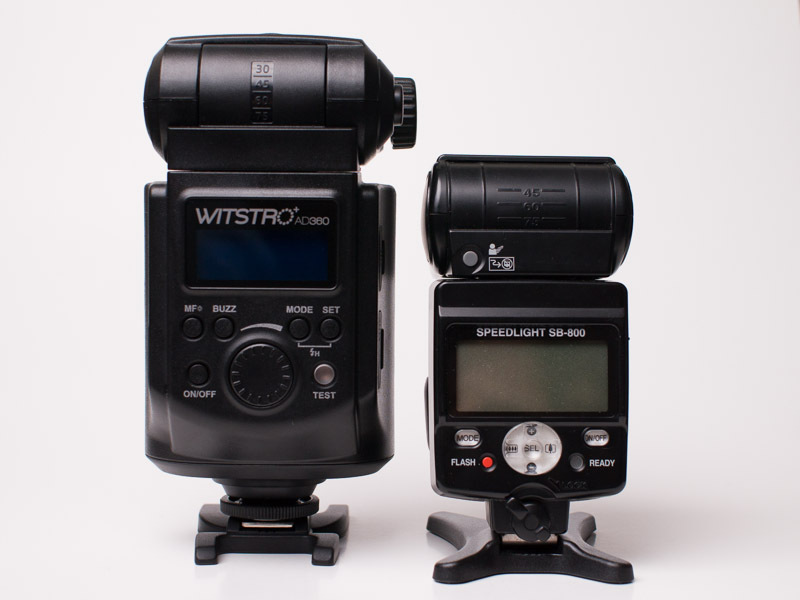 The Godox Witstro AD360 is built as a tank, looks like a speedlight on steroids and performs like a monobloc. It was hard to come up with things that I do not like about it. If you need TTL exposure or a modeling light this might not the flash for you, but there are so many things to like about it. It is extremely powerful for its size, it is easy to use and the quality seems to be par with Nikon or maybe even better. The combination with the FT-16 works really well, except that the high speed sync cannot be used with this trigger. The FT-16 is also rather tall, making it more fragile than I would like it. There are some little design flaws that are noticeable when you are using it. For example, the battery pack is not made to be worn on the shoulder, since the flash is always on a lightstand, so the coiled wire is not really necessary. I would have preferred a cable where the battery pack can be positioned on the ground (can be bought separately though). When transporting the flash I prefer to remove the flashtube, but there is no container to store the flashtube in. A little plastic box or so would have been nice. In the end you can ask yourself, where you looking for a high powered portable flash? If the answer is yes, then go and order it. At 539 euro it might not be cheap, but high performance never is. 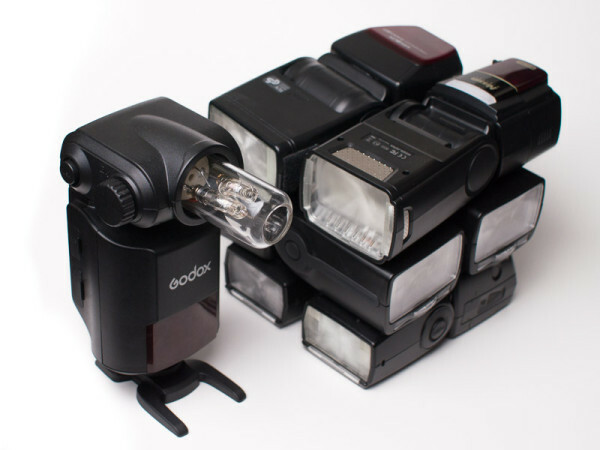 No number of speedlight can replace the convenience and quality of light that the Godox has to offer.